Get ready to feel happier and more confident. All you need is a little hope, validation and some dedication. Give us a call or e-mail us today. Do you want to feel like you are enough? Feel unstuck, joyful and more confident in your life choices? Are you tired of comparing yourself to everyone on social media and wanting to fit in? Do you go online to diagnose yourself? Do you want to learn to have more meaningful relationships and set healthy boundaries? Do you want your child or teen to feel happier, more confident and increase their self-esteem? Do you want your child or teen to learn to have a healthy mindset and positive coping techniques? Do you want your teen to gain meaningful friendships, achieve academic success and gain independence? 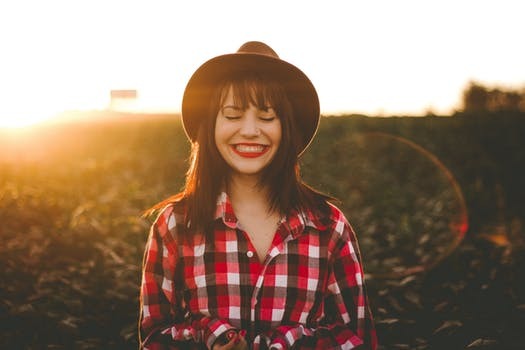 At Serene Mind Counseling + Evaluations, we empower children, teens, young adults and millennials (ages 5 to 40) who want to regain happiness and confidence. Unlike most therapy practices we ONLY counsel clients who experience depression or anxiety related symptoms. We have specialized tools (Cognitive Behavioral Therapy techniques, person centered approaches and creative related therapies) that have proven successful (on average in about 3 to 6 months of meeting weekly and/or every other week) to help you regain control of your thoughts, emotions and behavior. For your convenience, we offer afternoon, evening, weekend and online counseling services. Are you still not sure about coming in for therapy or how therapy could benefit your child? Check out our blog, The Truth About Therapy. In March 2020, we are launching our Self-Care Squad (a group) for awesome Millennial Ladies who want to feel unstuck, connect with each other and gain confidence. If you are interested in joining our small group please send us an e-mail for a free phone consultation. If you are human, counseling is for you. You will be empowered to take control of your life and the choices that you make. Who do you know that would benefit from making more informed decisions, better choices and lifelong changes? Our teletherapy online counseling sessions make it easy and convenient for you to participate in therapy no matter where you live in Florida. ARE YOU TIRED OF SEARCHING FOR A THERAPIST TO CONNECT, RELATE AND HELP YOUR CHILD OR TEEN? IS YOUR CHILD OR TEEN NOT ACTING LIKE THEMSELVES? ARE YOU WORRIED ABOUT THE LONG TERM HEALTH IMPACT FOR THEM? DOES YOUR CHILD OR TEEN HAVE TROUBLE BELIEVING IN THEMSELVES? ARE THEY EXPLORING WHO THEY ARE AND NOT MAKING THE BEST CHOICES? ARE THEY HAVING DIFFICULTY CONNECTING WITH FRIENDS, FAMILY AND ARE THEY ISOLATING? DO YOU WORRY ABOUT THEIR PERFORMANCE AT SCHOOL, SPORTS AND AFTER SCHOOL ACTIVITIES? ARE YOU LOOKING FOR A THERAPIST WHO CAN CONNECT WITH YOU AND UNDERSTAND YOUR WAY OF THINKING? ARE YOU TIRED OF DIAGNOSING YOURSELF BUT NOT DOING ANYTHING ABOUT IT? ARE YOU EXHAUSTED FROM OVER THINKING AND ISOLATING YOURSELF? DO YOU FEEL STUCK AND OVERWHELMED WITH MAKING LIFE DECISIONS? ARE YOU TIRED OF COMPARING YOURSELF TO OTHERS AND OVER ANALYZING YOUR DECISIONS? DO YOU WANT TO SUCCEED IN SCHOOL, PERFORM YOUR BEST AT WORK? DO YOU WANT TO FEEL UNDERSTOOD IN YOUR RELATIONSHIPS AND HAVE HEALTHY RELATIONSHIPS WITH PEOPLE? AND TAKE CHARGE OF YOUR LIFE AGAIN. ARE YOU A YOUNG WOMAN OR A MILLENNIAL TRYING TO BECOME PREGNANT? ARE YOU HAVING DIFFICULTY IN YOUR JOURNEY TOWARDS MOTHERHOOD? DO YOU WISH OTHER PEOPLE WOULD STOP ASKING YOU WHEN YOU ARE GOING TO HAVE KIDS? ARE YOU OVERWHELMED, ANXIOUS AND FRUSTRATED WITH YOUR THOUGHTS OF WANTING TO BE A MOM? IS WANTING TO HAVE A BABY IMPACTING YOUR RELATIONSHIPS IN A NEGATIVE WAY? ARE YOU TIRED OF COMPARING YOURSELF TO YOUR FRIENDS AND FAMILY MEMBERS WHO ARE PREGNANT? FEEL HAPPY, CONFIDENT AND MORE AT PEACE. ARE YOU A NEW (OR NEWISH) MOM FEELING OVERLY WORRIED, STRESSED, FRUSTRATED, DOWN OR SIMPLY LIKE YOU NEED A BREAK? HAVE YOU LOST YOURSELF IN YOUR NEW ROLE AS MOM? IS YOUR LACK OF SLEEP AND SUPPORT IMPACTING YOUR EVERYDAY CHOICES? ARE YOU ISOLATING YOURSELF FROM ACTIVITIES AND PEOPLE YOU LOVE THE MOST? ARE YOU FEELING GUILTY FOR JUST WANTING A BREAK FROM YOUR LITTLE ONE? DO YOU WANT TO ESCAPE AND LEARN TO PUT YOURSELF FIRST AGAIN? Seeking a counselor, therapist or coach can be a tremendous task, during an already stressful time. Depression and anxiety therapy are our jam. This benefits you since the only real determining factor in how well you will do in therapy, is your relationship with your therapist. Since depression and anxiety are our specialty we have specialized tools to help you regain the control you want. At Serene Mind you will be understood, validated, able to regain hope, overcome setbacks and reach your own definition of success. It is not easy to be a human. By choosing to meet with us, you can start making small steps towards living a more fulfilled life. We look forward to empowering you. By coming to therapy YOU make it easier for you to live your happiest most confident life. We can guide you on how to feel unstuck, reduce stress, improve relationships and learn to self-care. Say goodbye to your depression + anxiety today. At Serene Mind Psychology, we help teens and young adults feel safe, confident and happy. We are a boutique, counseling and therapy practice. We cater our services to each Tampa Bay individual. Counseling Can Be For Everyone. Due to our growing demand, we only accept a limited amount of counseling individuals every month. If are you ready for amazing changes, we are the counseling practice for you. Book Your In Person or Online Counseling Session Today. What are you waiting for? Pick up the phone or e-mail us today. Parking is located in front, back and across the street from our office building.